Bombay Blue’s ‘Make you own Nachos’ promotion, which is on till 10th August, seems like a shrewd marketing idea, given that nachos are as ubiquitous as samosas on menus; they are even available in movie theatres as a snack! This is also one of the faster moving items on the Bombay Blue menu, so what better way to drive sales than to get people to customize how they would like their nachos? While the customer can choose from a vast variety of options that include five kinds of bases and four kinds of cheeses for just INR 199, they can also go overboard by choosing from four different types of toppings (including two non-veg options) and five types of sauces to envelop the nachos in. 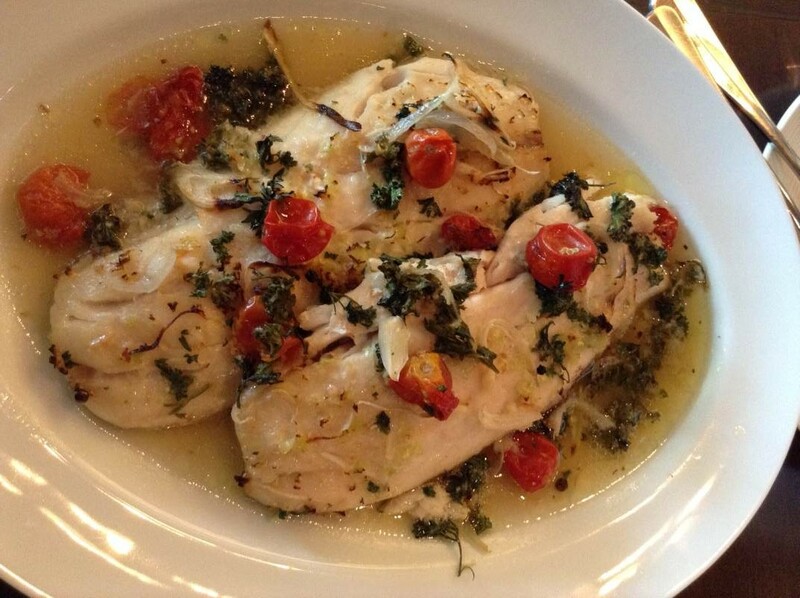 The end-result promises to leave you with a full belly and a happy palate. For our nacho experience, we chose to try ‘The Combination’ with all the available bases from Homemade Chilli Garlic Tortilla, Cream and Onion Tortilla, Crispy Grilled Pita, Burrito Fries and Corn Chips. Amongst these, the crispy grilled pita won us over with its crisp and flavourful presence. We added Jalapeno Cheese Melt sauce and some Refried Beans to the assembly to make the textures come into play. And we still weren’t done! Lathered on top was the Mild Chilli Salsa, Grated Cheese and some onions and olives. These elements worked together like a Mexican Jarabe dance routine and despite a plethora of different items present together in the dish, each stood out on its own. The Jalapeno Cheese Melt sauce was lathered rather liberally, but the cheese-lover in us wasn’t complaining one bit! Who doesn’t want more cheese in their nachos, right?! Chef Amit Puri, Executive Chef for Bombay Blue also decided to ensure that the carnivores do not walk away sulking, and hence added a couple of chicken options to the toppings. But when there’s so much cheesy flavor with other tangy elements, one might not complain, or even notice, the lack of a meat. 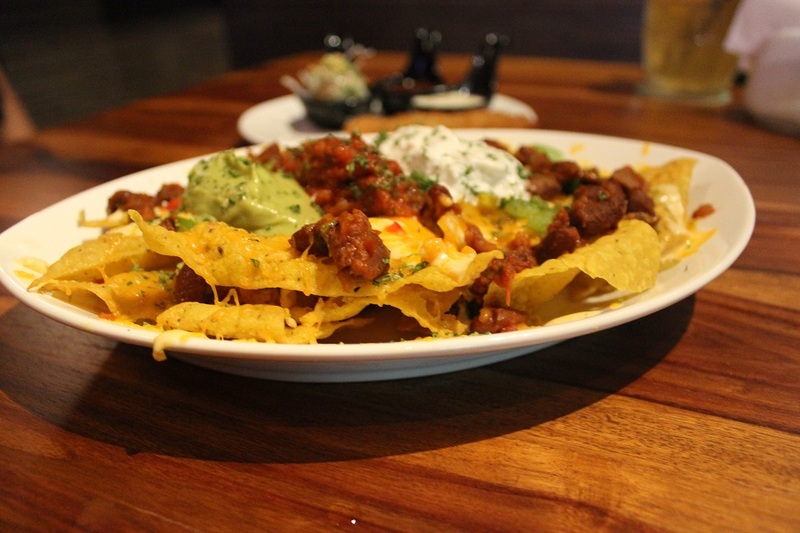 Barring the bases and the cheese, all the toppings are individually priced and if you do decide to go all-out and indulge, then your final plate of nachos might turn out to be an expensive affair. 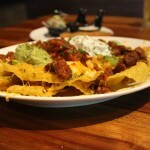 However, as Chef Nikhil Pande said, “We wanted our customers to experience something new other than our regular nachos. We wanted them to go all out and explore using their own permutations and combinations and entice their tastebuds. The choice of choosing the ingredients that go into their special nachos in is their hands, so they can also decide on the pricing.” Well, we did just that chef!